We’re here to provide diagnosing, testing, repairing, and/or rebuilding of diesel fuel injector pumps and injectors. We are not—and never will be—a typical “Big Box Business” that simply exchanges products if something doesn’t work and hopes to never see that customer again. We are proud of the quality work we produce and the reputation we have developed over the years. Our success is due in part to word-of-mouth recommendations made by our customers, many of whom we consider to be our friends! We are a family-owned-and-operated company, with two crazy, goofy boxer dogs, Groot and Rey. 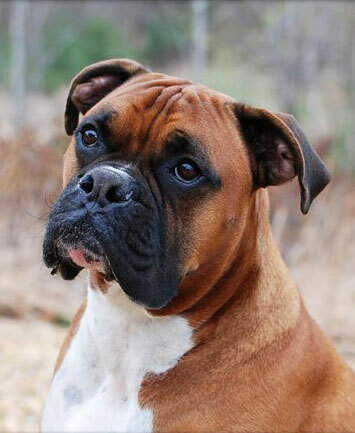 Together, they’ve taken over the role of our previous boxer Diesel by greeting everyone at the door with a kiss! After we brought him home at just eight weeks old, we knew Diesel was special. He came to the shop with us every day and greeted each customer at the door, usually showing off his favorite bone! He had a gentle way about him that put people at ease. After a while, he seemed to develop his very own fan club! There were many, many times over the years that customers would come in just to sit and spend some time with him, and of course, bring him a few treats. Diesel enjoyed the sunshine and would lie on his favorite blanket right outside the shop door for hours, soaking up the sun and waiting for customers to arrive. At eight years old, Diesel was diagnosed with Lymphoma. He fought as hard as he could. He was stoic, brave, and strong throughout his many treatments. On November 20, 2015, Diesel crossed over the Rainbow Bridge to where the sun shines every day and there are endless bones to chew. He is missed by so many people. He truly was a blessing to each and every one of us who were lucky enough to be loved by him.